door and the image was like oily. I had to use Windex to take off..Is it a spirit's impression? GhostStudy.com is not looking for analysis or debates but they simply wish to share a mind stimulating experience. Are they explainable? Maybe...... Are they a ghost? Maybe. ......It's ultimately up to the viewer to decide for themselves. These particular photos are for your entertainment. 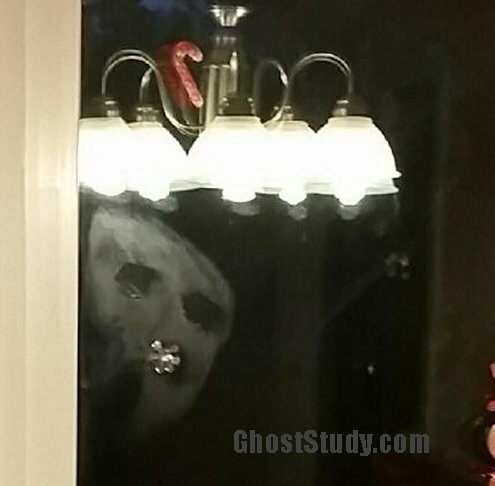 I make no claims as to these being actual ghost impressions... enjoy! 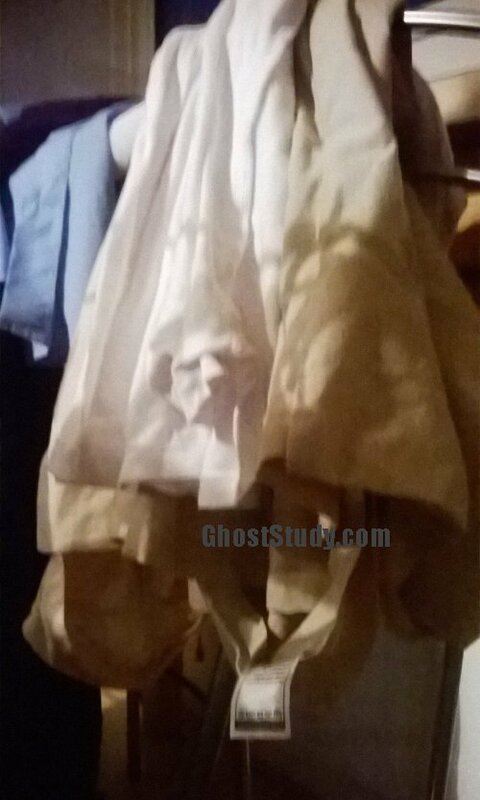 You're seeing them first before they're posted on GhostsStudy.com! Here are the enlargements. 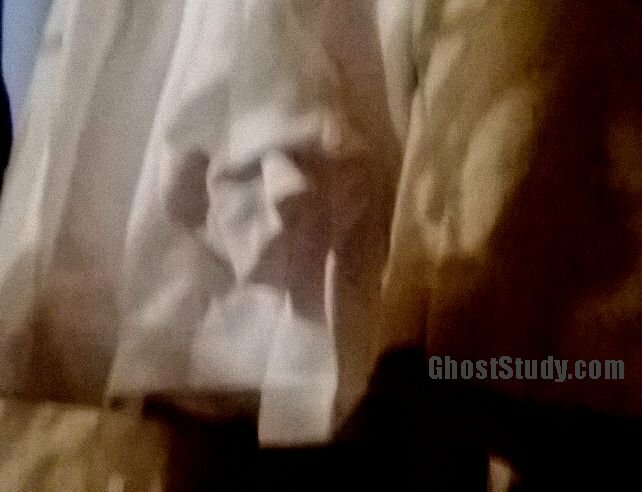 I wasn't allowed to post all the "ghost impression" photos in one post. 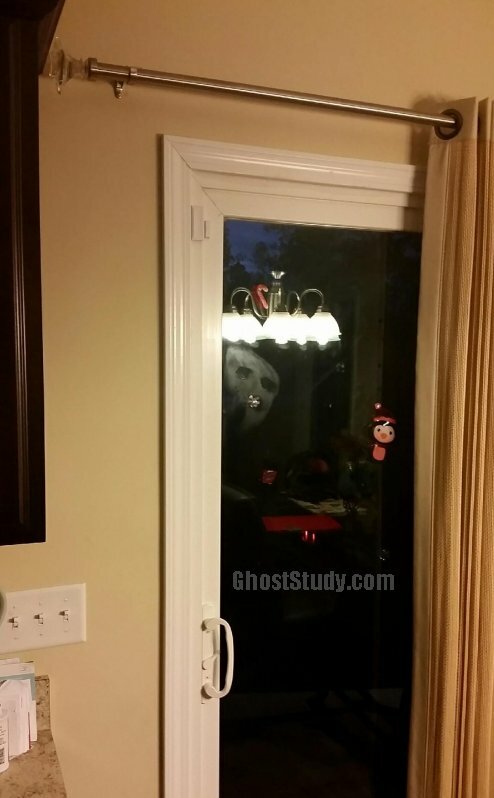 The smudgy face on the door makes it seem as if it's looking in. ......Saying, Ahh... I found a good place, warmth and solace. It does look like someone has plastered their very greasy face against the door. Or even a ghosts impression left behind. that first one is so detailed, in the folds of the linen, how interesting!